PJSC Aeroflot (Moscow Exchange ticker: AFLT) is pleased to note that its Pobeda subsidiary has significantly strengthened its position in the global rating of budget and leisure carriers by Airline Business magazine, climbing the most of any airline in the rankings. Pobeda carried 3.1 million passengers in 2015 – its first full year of operations – and rose 29 places to 71st overall in the authoritative survey. The airline’s success once again underscores the viability of and high levels of demand for the low-cost model inRussia. Pobeda today is an essential part of the Russian aviation sector and is one of the country’s leading airlines by passenger numbers, helping to increase social mobility and support economic growth by helping keep the costs of air transportation affordable. 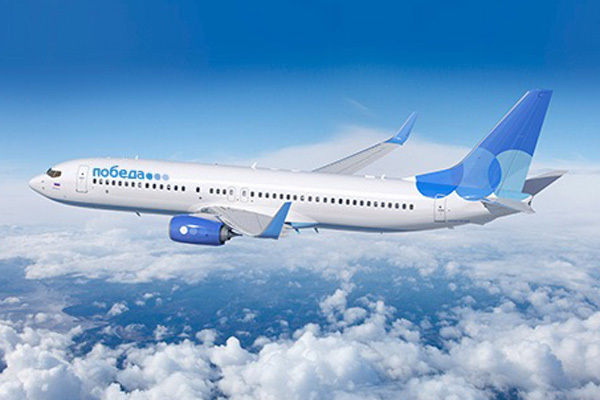 Russia’s first low-cost carrier, Pobeda was launched in late 2014 amid challenging economic conditions and has swiftly built a network of almost 40 unique destinations. In 2016 the airline plans to grow passenger numbers by about a million to carry 4 million passengers.